There are several different ways to get to us. By foot, train, car or river. and paddle boards are also available for hire locally. Reachable from either side of the valley and due to the fact cars cannot cross over the river, railway and canal there is a car park on each side. 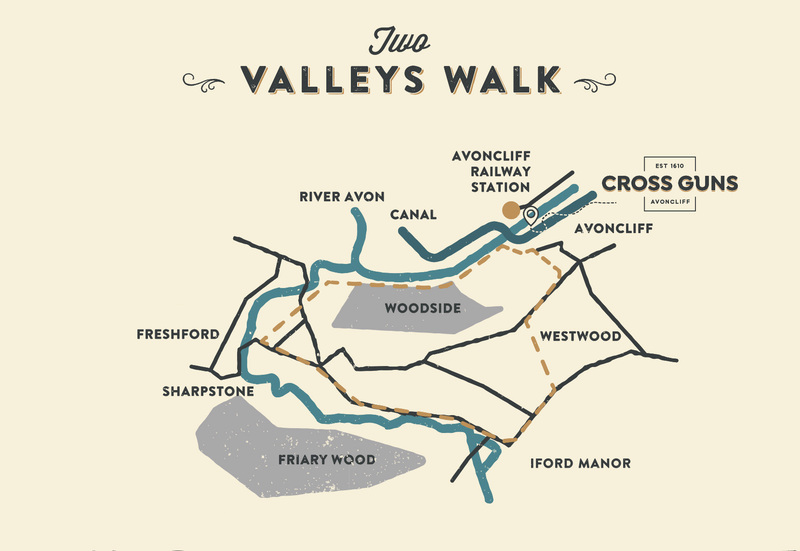 The easiest way to find us is to head towards Bradford-on-Avon, then follow signs to Turleigh and once out of the town take the road on the left signposted to Avoncliff. Avoncliff has its own railway station, which is only a short 2 minute walk from the Cross Guns. 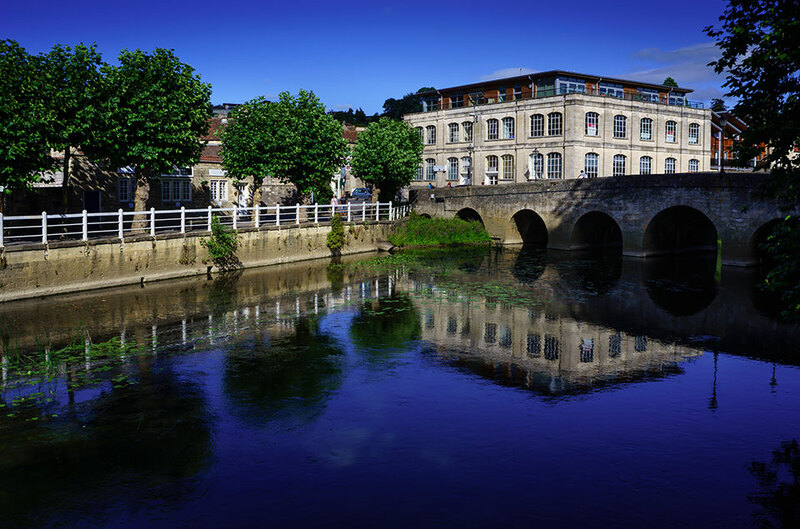 Trains run regularly, at least one an hour to Bath, Bristol, Bradford-on-Avon and Trowbridge. 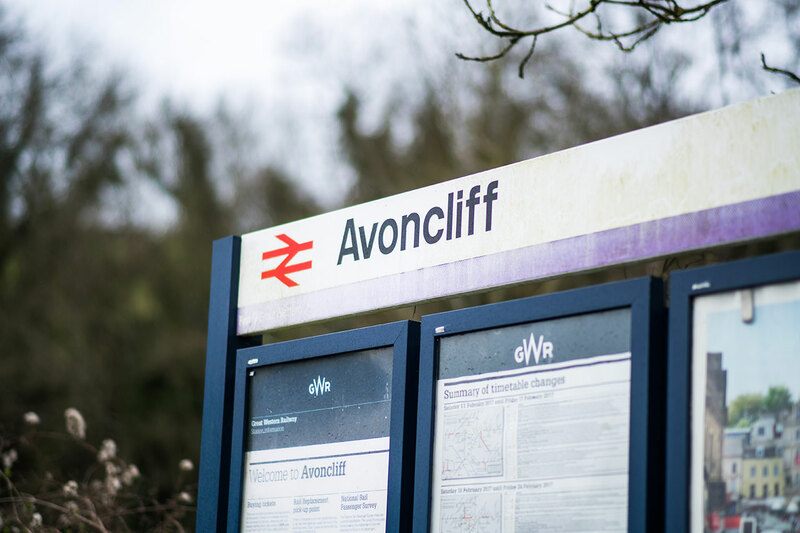 Avoncliff is a request stop, so if alighting at Avoncliff you need to inform the conductor and if boarding the train at Avoncliff put your hand out to show the driver you want the train to stop. 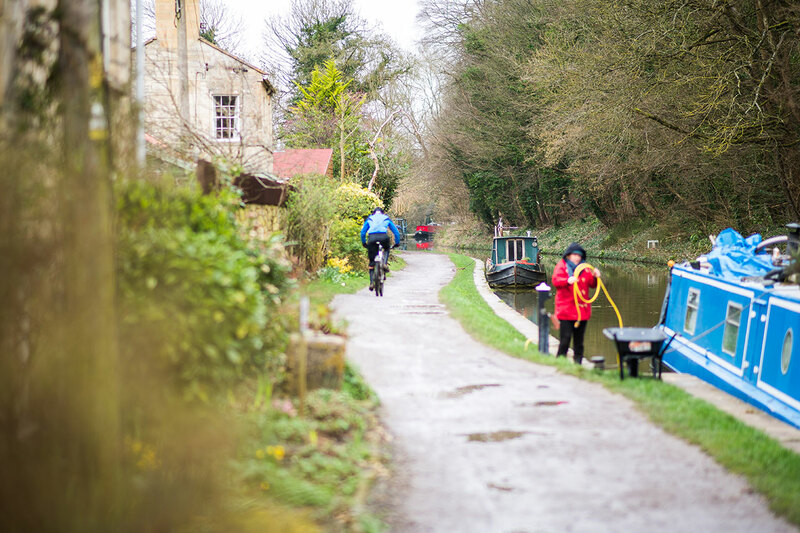 Located on the Kennet and Avon canal, the Cross Guns is a short and easy walk from Bradford-on-Avon taking about 20 – 30 minutes. 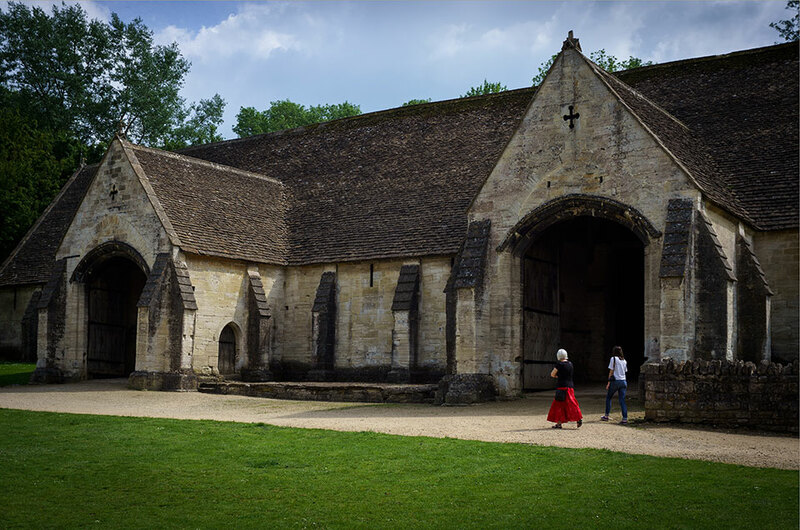 Parking in the station car park in Bradford-on-Avon, you can begin your walk through Barton Farm, passing the Tithe Barn and continue along the riverside. You will then join the canal towpath, which will take you right into Avoncliff where you can’t miss the Cross Guns.